LEAPING down the road! 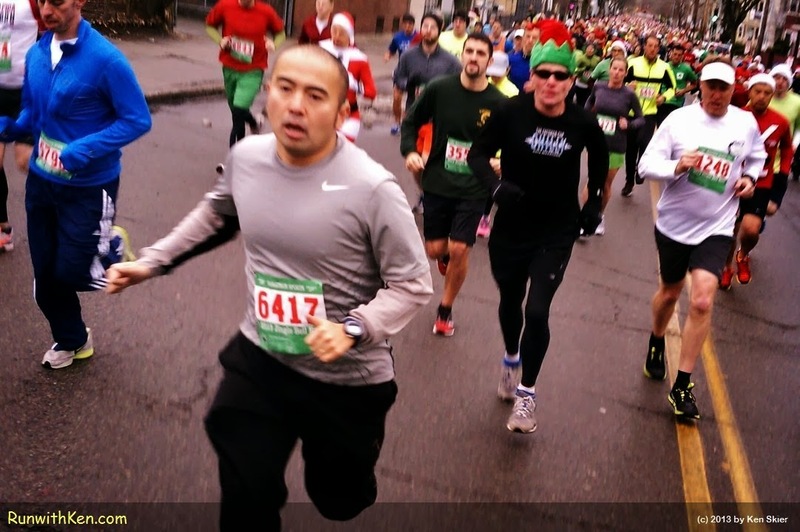 Runners at the Jingle Bell Run in Somerville, MA. I love the intensity of this runner! He was leaping toward me just as I took this photo. I was running one step ahead of him.